Electric Vehicle Envy | What is it like to leave gasoline behind? We almost didn’t attend the show because people in the garage wouldn’t stop asking questions about our e-motorcycles! What am I doing to support the e-motorcycle industry? Have I gone 100% electric? 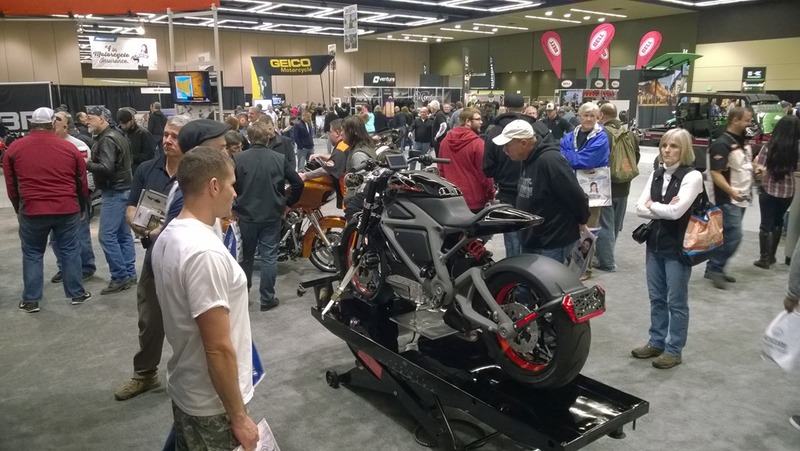 International Motorcycle Show travels from city to city, bringing people in touch with local and national motorcycle manufacturers and related companies under one roof. In the recent past, electric motorcycle manufacturers like Brammo and Zero Motorcycles have been among the exhibitors. 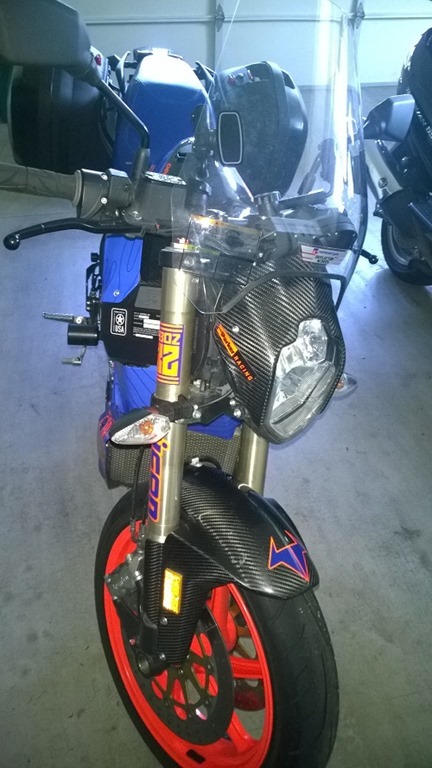 Even KTM once showed off the Freeride E, an electric dirt bike a few years ago. Only one electric motorcycle? Seriously? As a recent EV convert and motorcyclist, I’ve been eagerly following the progress of these e-motorcycles and looking forward to what new products each manufacturer would bring to each year’s Motorcycle Show. What was I looking forward to at this year’s Seattle show? Based on their past appearances, a return of the big, proud display by Zero Motorcycles, touting their recently announced 2015 models. Based on their recent signing on of Seattle E-Bike as their Seattle dealership, a confident presence by both Seattle E-Bike and Brammo, touting their successful end-of-summer sale extended through the end of the year. Based on their recent release in Europe of the C Evolution electric scooter, even if it isn’t sold in America, I hoped to see a model on display at the BMW booth to solicit demand for this product here. Based on the (1) increased presence of electric motorcycles at the show over time, (2) that Seattle is the #4 city in the nation in EV adoptions, and (3) the precedent they’d already set, a FreeRide E on display by KTM. Based on the incredibly popular Project LiveWire Experience tour, it wouldn’t have been surprising to see it at the Harley-Davidson booth to further drum up interest. Based on the surprisingly large number of 2014 debuts by a number of promising newcomers to the e-motorcycle industry, I was holding my breath for a chance to see and sit on the Sora by LITO Green Motion, the Ego by Energica, or the 2013 Pikes Peak winning LS-218 by Lightning Motorcycles. So which of these expectations were met? Only Harley-Davidson presented an electric motorcycle, and one that the company has made no promise to ever bring to market. 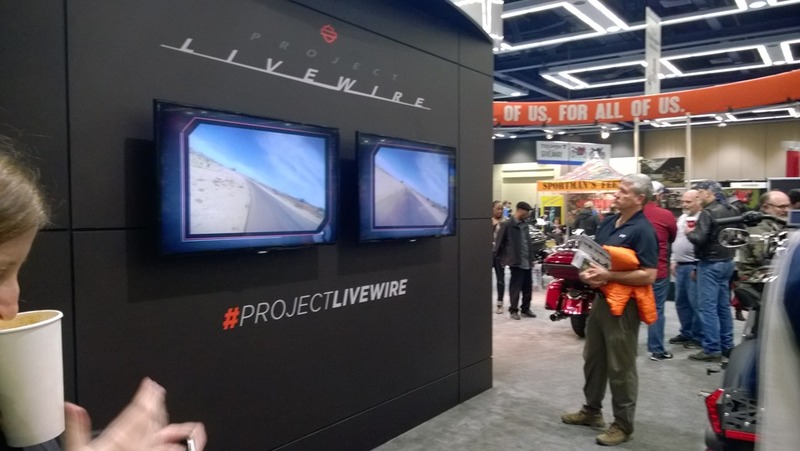 When will Project LiveWire™ motorcycles be available for purchase? Project LiveWire™ motorcycles are not for sale. This is a journey we’re taking with our customers to discover how good we can make the ride. We’re taking the Project LiveWire™ motorcycle experience around the country this year, and continue in the US, Canada and Europe in 2015. We’ll gain feedback from real riders on what they are looking for in this type of vehicle from Harley-Davidson® Motorcycle. Any final decisions about whether to bring an electric motorcycle to market – and when – will be made at a later date. 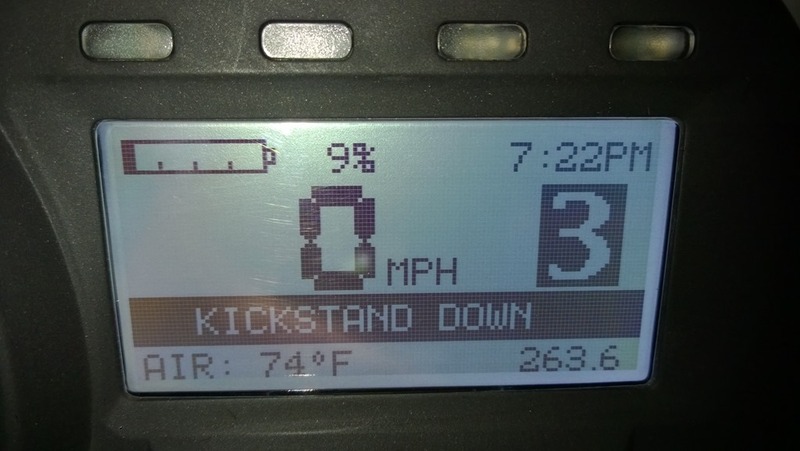 If this was a reflection of the progress electric motorcycles’ have made in the marketplace, it would be a disappointing one. And, I believe, an incorrect one. Special parking for electric motorcycles? Prior to entering the exhibitor hall, I arrived in the parking lot immediately to the right inside the 8th Avenue entrance to the Washington State Convention Center to find a number of 110V outlets waiting under a sign that read “Electric Cycle Charging Station”. The bike was easy to park. Leaving the garage to attend the show was the difficult part. And a lot of fun! Between parking the bike and removing my riding gear, the Brammo got a lot of attention from people who were passing between the parking garage to the show. They couldn’t figure out why a motorcycle was plugging into an electrical outlet, they were drawn in by the bright colors, they were curious about a motorcycle type they’d never seen before. Almost every group of passers-by turned their heads or approached with questions. Staff of local race tracks, apprentice elevator technicians, squids (just kidding). 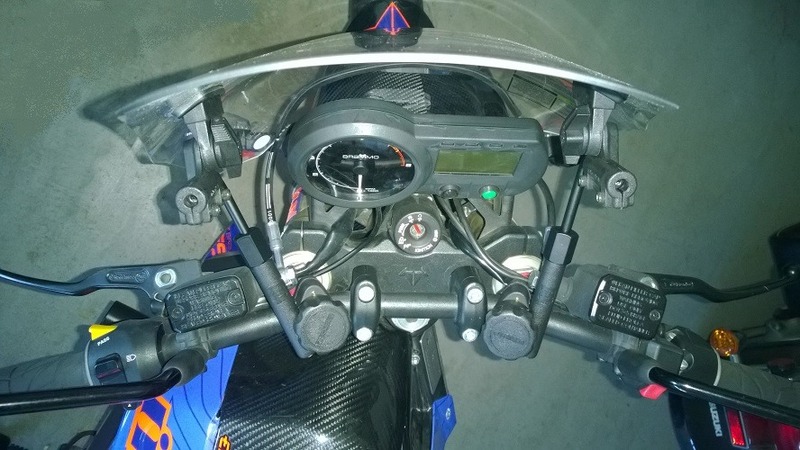 They almost always asked about the basic questions like range, or how long it takes to charge, or how fast it goes (it is decorated like a race bike, after all), but some asked detailed questions that I hadn’t been expecting, like whether the motor was AC or DC, whether it was brushless or not, or exactly what the battery chemistry was. When my friend with the Zero DS arrived, the questioning from curious passers by continued. It was very difficult to reluctantly but politely disengage to make our way to the motorcycle show ourselves. Clearly there is a lot of earnest interest from the public, so it is surprising that the e-motorcycle manufacturers chose not to attend this year. 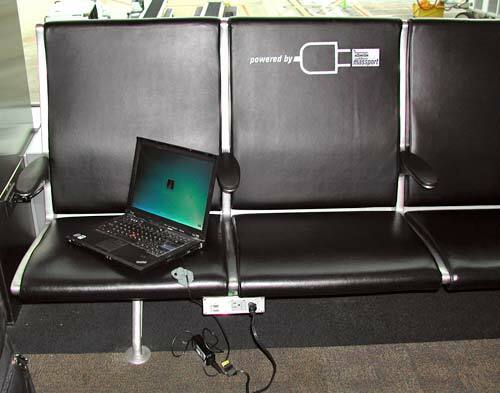 How did it come to pass that electrical outlets were made available for recharging? Two years ago, I e-mailed Ed Barnes, the VP of Operations for the Washington State Convention Center, asking him if electric vehicle charging stations would be available so that I could recharge while I attend the 2012 show and be confident that I could return home. At the time, I had a Current Motor Super Scooter that would barely make it to the Convention Center, never mind get home again. I needed every opportunity to recharge. That e-mail did not receive a response. Given that I contacted him less than a month prior to the show, I shouldn’t have been surprised. There was no time to arrange a response, even if he wanted to—I’m sure that he was much too busy with preparations for the show. In 2013, after getting to know the Super Scooter better, I realized that not only would getting to the show even with a full charge be quite a feat, the December weather in Seattle was against it. 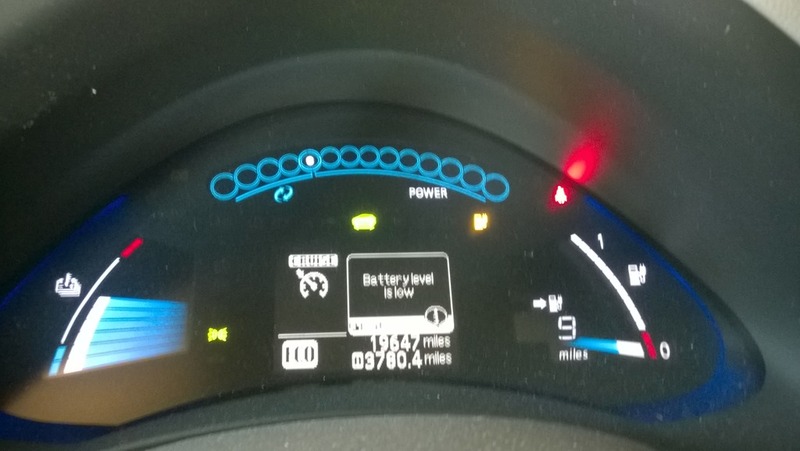 We decided instead to take our 2012 Nissan LEAF, which by that time we knew well enough to trust that it would have enough charge for the entire round trip. This year, after taking possession of a Brammo Empulse R with the help of local dealership Seattle E-Bike, I wanted to try to ride to the show again. This time though, I wanted to give the WSCC staff a reasonable amount of time to respond to my request, so I contacted Mr. Barnes with two months to spare. After including a local EVSE representative in the conversation, I received two pieces of very encouraging news: (1) 110V outlets would temporarily be made available in time for the show—not just for me, but for all electric motorcyclists that wanted to park and recharge before returning home, and (2) a permanent EVSE installation was planned for 2015. This means that not only would a temporary recharging solution be available for electric motorcycles be able to recharge during their riders’ visit to the motorcycle show, but some time next year, all electric vehicles—cars or motorcycles—would conveniently be able to recharge while they parked. Mr. Barnes, thank you for making this possible! 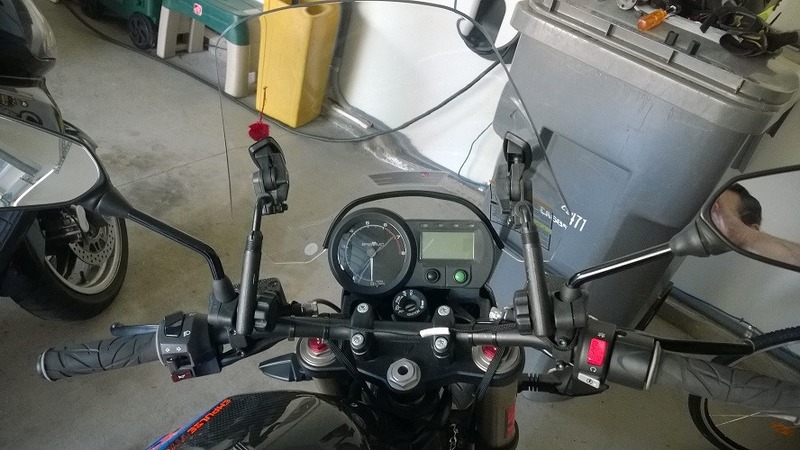 Because of your decision, my friend and I were able to recharge our electric motorcycles and return home safely. 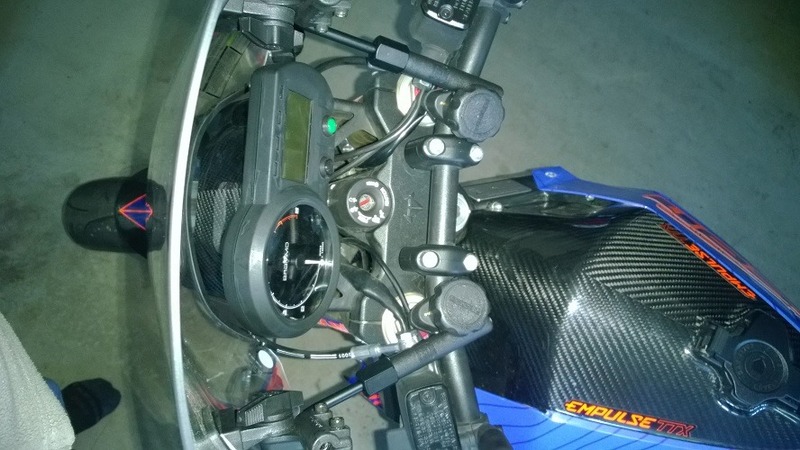 In a Facebook post inviting my motorcycle and e-motorcycle friends to this year’s motorcycle show, I drew their attention to the news about the electric motorcycle charging opportunity. Afterwards, I looked up the list of exhibitors to find out which of the e-motorcycle manufacturers would actually be present. As mentioned above, I found neither Brammo nor Zero on the list. After asking the convention center to go out of its way to make e-motorcycle charging possible, this was an embarrassing discovery. Further, assuming that WSCC was well aware that fewer electric motorcycle manufacturers were attending this year’s show than last year’s, it is a tremendous demonstration of good will deserving our appreciation. 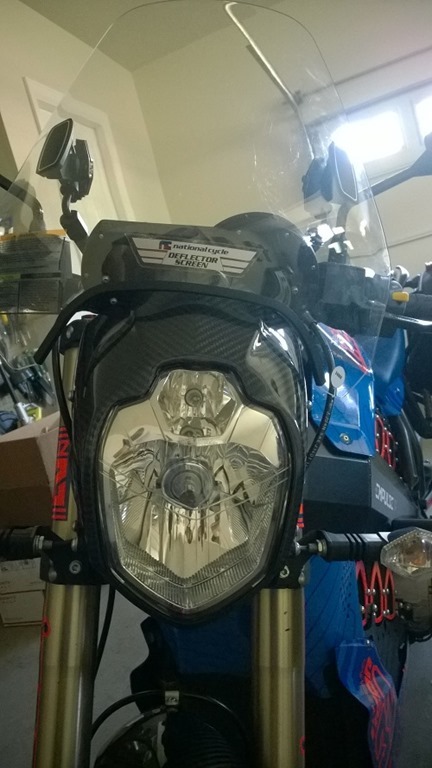 In reaction to my report that Brammo and Zero would not be present, someone shared my disappointment and expressed concern that these manufacturers were doing themselves a disservice by not being represented at this show. 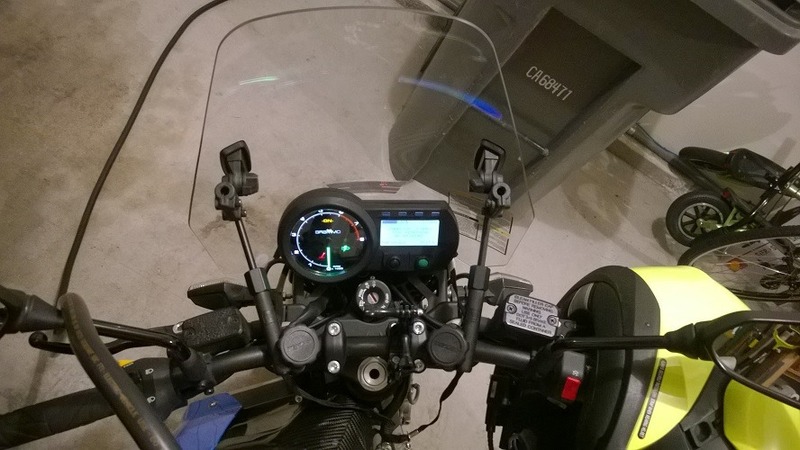 From the point of view of someone like me eager to see what the e-motorcycle industry has to offer the public, it is easy to become disheartened. Companies one hoped to see don’t show up, as if they’d given up or didn’t care to promote and sell their products to anyone, anymore. Companies who do show off an e-motorcycle make no promise to bring one to market, dampening excitement by frustrating potential customers or doing nothing to discourage skeptics. I struggled to reply to this. I did reply, but it’s hard to quote out of context here. Instead, let’s say I’m pinning my hopes on the optimism shown by the sheer number of companies that have not only not given up, but are entering the market. Brammo and Zero not only continue to sell e-motorcycles, but come out with new models and have solicited funding to develop new products, new business models, and expand their operations; that three new e-motorcycle manufacturers (Energica, Lightning, LITO) have made their market debut just this year; that major motorcycle manufacturers like BMW (C Evolution) and Harley-Davidson (Project LiveWire) have showed promising signs of taking electrics seriously; that related electric vehicles are also undergoing research and development (the electric unicycle from Ryno Motors, the half-car / enclosed motorcycle by Lit Motors, the several examples of electric aircraft). We’re talking about electric motorcycles, but other electric vehicle types are the topic of serious R&D, too. Pick a type of vehicle that is integral to our daily transportation needs, and it’s very likely that someone is trying to figure out how to make an electricity-powered version commercially viable. Right now. If not now, soon. Why should motorcycles be singled out as the one form of transportation that will remain gasoline-powered? In this light, I shouldn’t even harbor the shadow of a doubt that electric motorcycles as a class of vehicles will continue to improve. For the impatient among us, we can of course be frustrated by companies that appear to not be taking every available opportunity to advertise, to get in front of potential customers, and to make the improvements and price reductions that would address our many concerns about the marketability of their products. When we don’t know what a company is doing or why it has done something, we can be hasty to project our hopes and dreams onto them and view their actions or inaction as a betrayal of our expectations; we are hasty to pave the gaps in our knowledge with assumptions and desires and draw indefensible conclusions from them. We can accuse companies of sitting on the sidelines missing short-term opportunities, not knowing that they are already taking action that they believe will lead them to future long-term successes. For the impatient among us, it is painful to play the waiting game. But wait we must, unless we join them, understand them, and/or contribute to their success directly. For those of us who are not directly involved with those companies, one of the few ways that we can contribute is to become early adopters. Reward them for what they have done so far and fund their future success. Sitting and waiting doesn’t help them. Two years ago, my wife and I took the plunge and leased a Nissan LEAF to show support for Nissan’s decision to produce affordable electric cars, to show that workplace charging is something that our employer would have to factor into its facilities budget sooner or later, to show local businesses that installing EVSEs is another way to attract paying customers, to show electricity utility companies that they have to prepare for what amounts to a new fad in power hungry appliances that many homes can be expected to have in the future, and to show local government that EV charging infrastructure is as important to plan for as gasoline stations are to gasoline-powered vehicles. Two years ago, I entered a sweepstakes to win a Current Motor Super Scooter to see whether e-motorcycles are toys or terrific, and to give early-adopter feedback to the company so that their future products would be even better. This year, I bought a Brammo Empulse R because while the electric scooter was an adequate commuter, I lived in too rural an area for its range and power to really be taken advantage of. Also, I was impatient to proactively contribute towards the development of e-motorcycles and enjoy even less-than-ideal ones now rather than passively wait several years for them to catch up. E-motorcycles are already fun, even if they’re not quite touring bikes yet. Have we gone 100% electric? We’ve gone from two gasoline cars to one hybrid car to one all-electric car. We don’t plan to purchase any more gasoline cars. If we need to travel long distances, we’ll fly, go by train, or rent a car. We’ve got an electric scooter and electric motorcycle, but haven’t gotten rid of our gasoline motorcycles yet. We still occasionally take motorcycle road trips that exceed the range of our electric two-wheelers, and it is cheaper to keep our gasoline vehicles than to rent them when we need them. We’ve got solar panels that in the summer are not only more than enough to power the appliances, but power our all-electric car and all-electric motorcycle, and in our first year resulted in a credit of $700 from our electricity utility. For grins, I’ll even mention that we even have electric yard tools even though gasoline ones exist. Our first lawnmower is electric. We’ve never owned a gasoline lawnmower and don’t plan to. Our first hedge trimmer is electric. We’ve never owned a gasoline one and don’t plan to. Our gasoline bikes can travel about 120-140 miles per tank of gas, and refuel at easily found gas stations. 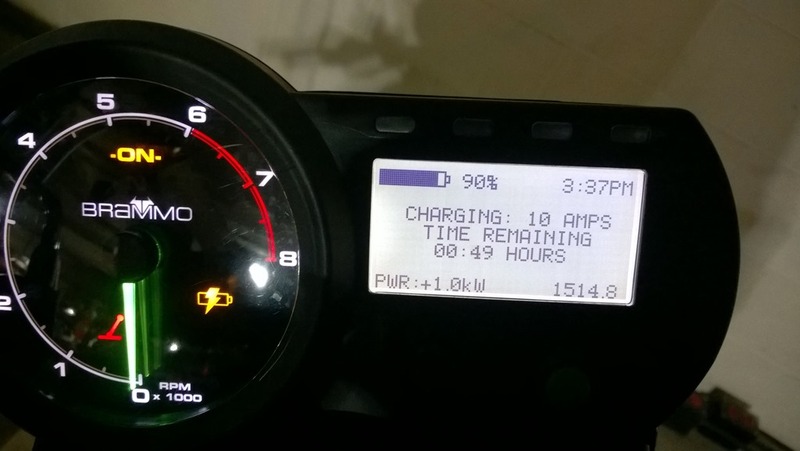 The Brammo can go 50-60 miles on a single charge, but can only recharge from public EVSEs that are significantly less common than gas stations, or 110V outlets that you have permission to use (try to plug into a wall outlet at a shopping mall and mall security will unplug you if you’re discovered; try to ask for permission to plug in at a gas station’s outlet and you’re unlikely to get a helpful reaction). 50 miles is great for commuting (or riding the bike from home to the dealership for service, but it’s not great for touring. Our gasoline bikes can travel about 120-140 miles per tank of gas. Yes, a Zero has almost the same range, but that brings up the next point. Gasoline drivers or motorcyclists will scoff at the time it takes to recharge an electric vehicle, bragging that they can refuel in minutes instead of hours. DC Fast Charging (in the form of CHAdeMO for most of the US) promises 80% charge in about 30 minutes. 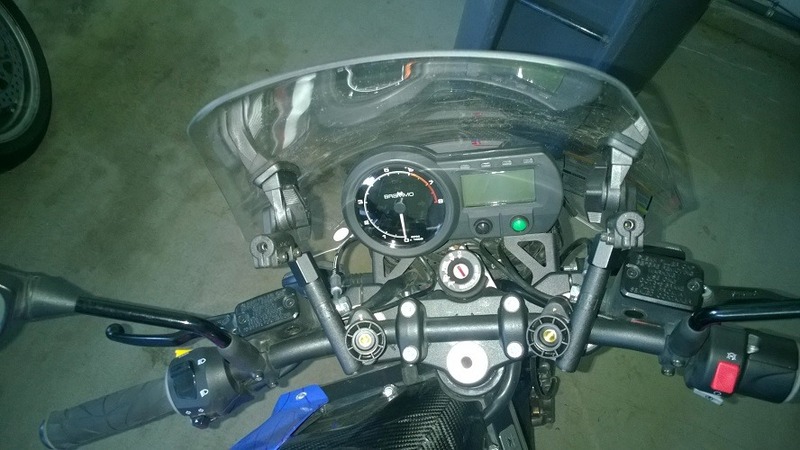 However, Brammo does not offer this charging speed and Zero only offers it as an $1,800 add-on under controlled conditions that are so restricted as to be useless. Brammos can natively recharge at L2 EVSE in 3.5 hours. 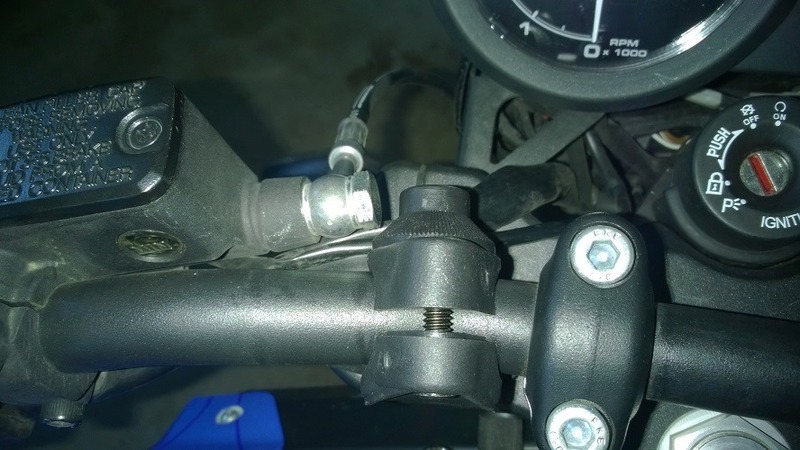 Zeros cannot connect to an L2 EVSE without a $300 adapter, but even so will charge no faster than L1 (110V) speeds, which takes 10 hours or so without one to four $600 bulky external chargers. There has been some recent news about battery chemistries that support faster charging, or supercapacitors that can be reenergized faster than a chemical battery can be recharged, but these have not been deployed in any commercially available electric vehicle on two or four wheels. As an aside, I wondered whether a Zero’s larger range beat out a Brammos’s faster charging speed. 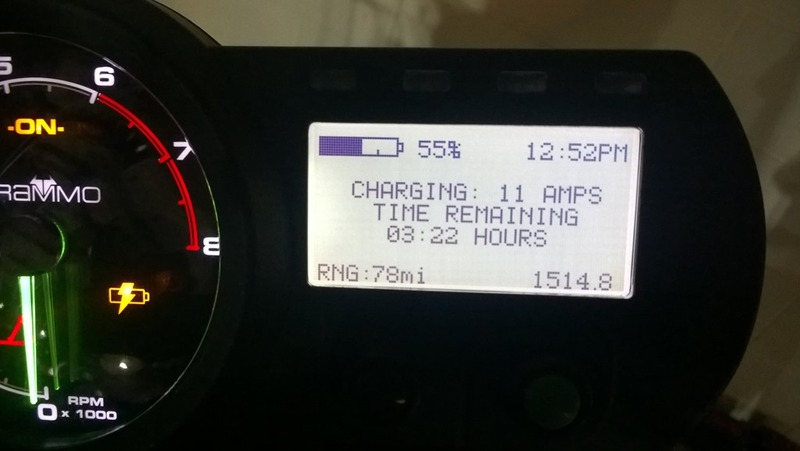 At 60 mph, a Zero will reach a destination 100 miles away sooner than a Brammo because the Brammo has to stop to recharge for 3.5 hours at L2 every 50 miles but the Zero doesn’t. 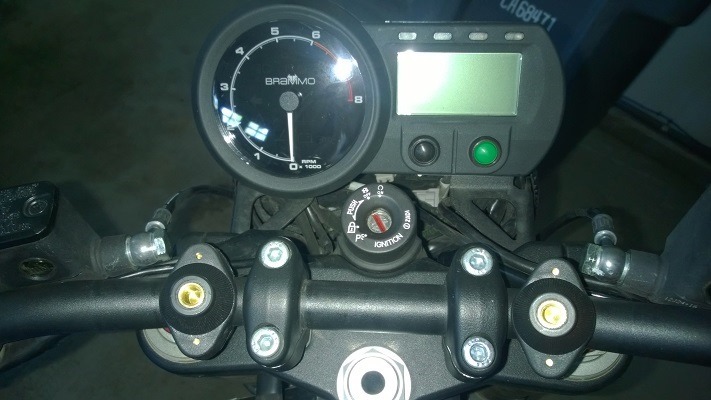 However, a Brammo will travel 250 miles faster than a Zero because the Brammo will have stopped to recharge 4 times for 3.5 hours each while the Zero will have stopped to recharge 2 times for 10 hours each, so the Brammo will have only spent 14 hours charging while the Zero has spent 20 hours recharging. 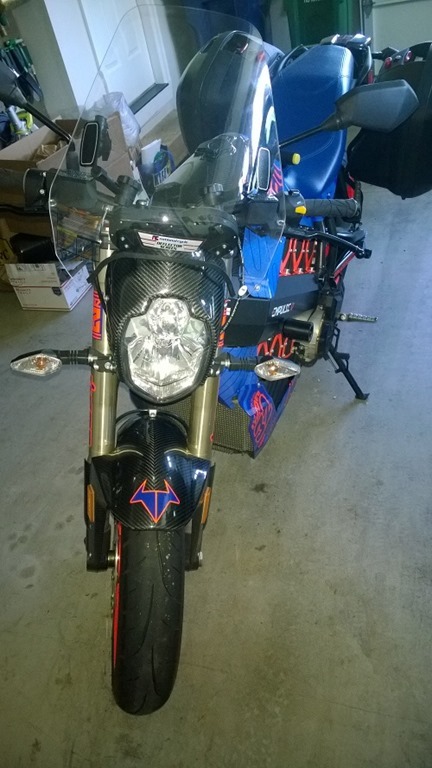 Starting somewhere between 200-250 miles, the Brammo takes and keeps the lead. A friend has been curious about electric vehicles for some time, but like many people, has been waiting for a desirable combination of range, features, and price. Recent developments are pushing him closer to making a purchase decision, so he’s interested in learning more about how they work–in particular how they recharge. As much as electric vehicles (EVs) resemble traditional gasoline-powered vehicles, how EVs recharge is probably the least familiar. I’ve been asked to provide an introduction to EV recharging options. As this will be useful to anyone wondering about the care and feeding of an EV, I’ve put together this blog post to share this information widely and help demystify the topic. The information I gathered to write this article is publicly available on the Internet, with much of the material sourced from Wikipedia and web searches for relevant images. In outline, this post will describe how plug-in electric vehicles are recharged, outline the choices for EV recharging, list which EVs can use each, and show how you can find recharging opportunities while out and about. If you can think of a type of gasoline-powered vehicle, you can probably find its electric equivalent today. There are electric trains, buses, trucks, cars, motorcycles, and bicycles. Even boats and airplanes powered only by electricity are available for sale to consumers. Most of us are familiar with gasoline-fueled vehicles that have a tank that is filled with liquid fuel. This fuel is consumed during the vehicle’s operation until the tank is empty. Rather than let the vehicle become unusable, most of us refill the tank before it is empty at a convenient gas station. How this works for plug-in electric vehicles is similar. If it helps, think about the common battery-powered devices you’re already familiar with, such as laptops, cell phones, or electric toothbrushes: use it until the battery is too low, then plug it in to recharge it until it is usable again. Of course you shouldn’t drive away while the vehicle is still plugged in, the same way you shouldn’t drive away from a gas station while the gas nozzle is still in your gas tank. For your battery-powered appliances, plugging into any wall outlet will let you recharge. For EVs, you can either plug into a wall outlet, or a machine called a charging station or EVSE (Electric Vehicle Supply Equipment), which is just a fancy name for a machine that is designed to recharge EVs. BEV Battery Electric Vehicle An electric vehicle that stores its energy in on-board rechargeable batteries. These batteries are the only source of power for propelling the vehicle. PEV Plug-in Electric Vehicle A vehicle that has rechargeable batteries that can be recharged from an external source. The vehicle is propelled either by the electrical energy stored in the batteries, or other sources of energy, such as an internal combustion engine (ICE) or fuel cell, or both. PHEV Plug-in Hybrid Electric Vehicle A hybrid electric vehicle whose rechargeable batteries can also be recharged from an external source instead of only by using the ICE as a generator. HEV Hybrid Electric Vehicle This kind of vehicle only uses gasoline as a fuel, but diverts some or all of the energy from the ICE and from regenerative braking to recharge the on-board batteries that assist in propelling the vehicle. 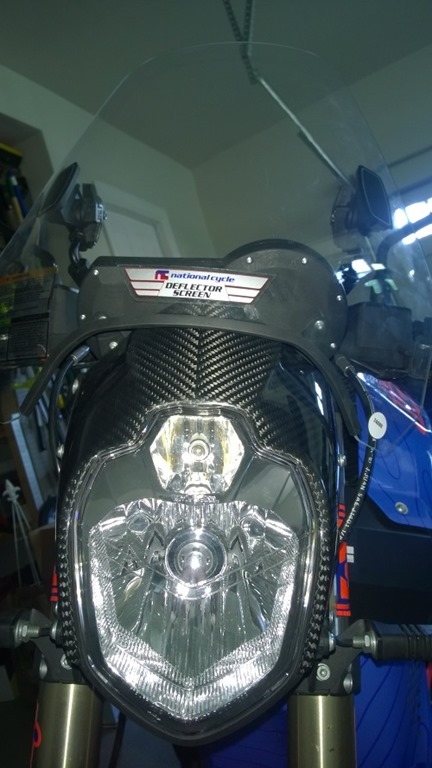 Except for the Tesla Model S, some electric motorcycles (Zero FX), and electric bicycles, EV batteries are typically not removable for charging or easily swappable with fully charged batteries. This means that a power source must be connected to the vehicle so that energy can be returned to the batteries. 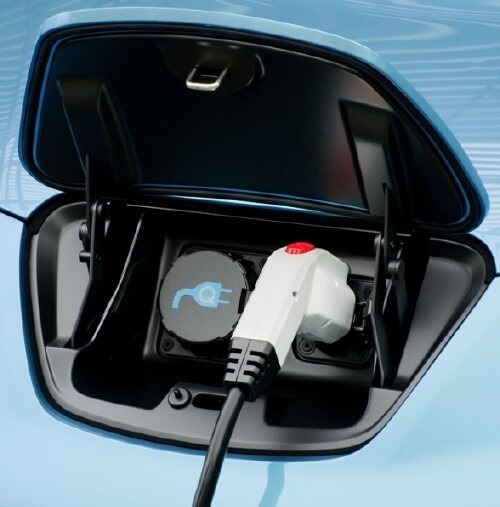 In the United States, plug-in EVs typically come with one or more sockets that each fit a standardized plug, or come with one or more adapters so that the vehicle can be connected to such equipment. In the United States, these power sources come in three categories, known as levels, which are proportional to the voltage of the electricity that they supply to the electric vehicle. See also http://en.wikipedia.org/wiki/Electric_car#US_Charging_Standards. Level 1 refers to the conventional wall outlets that supply 120 volts of alternating current (120VAC). 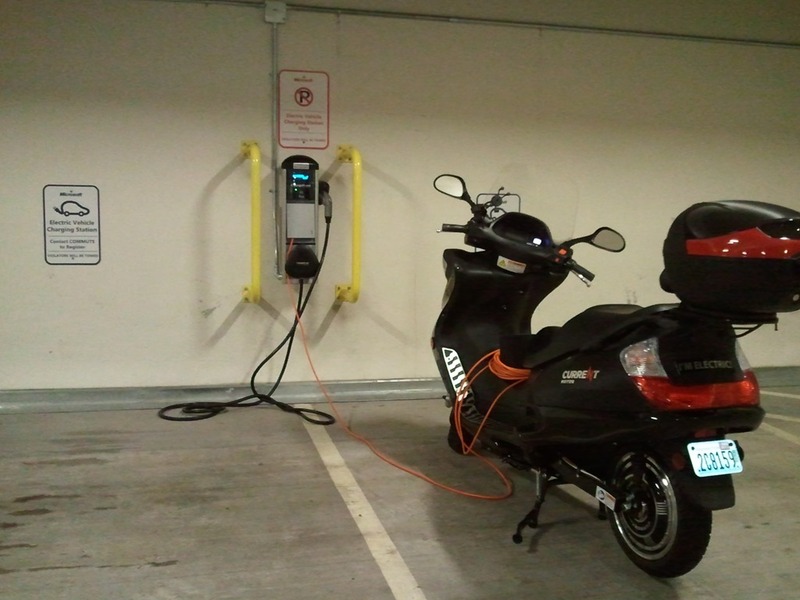 Some EVs, such as electric bicycles, the Current Motor Super Scooter, and Zero Motorcycles (pictured below) either come with a cable that can be plugged directly into the wall outlet, or a garden-variety extension cable can be used. Other EVs like the Nissan LEAF (pictured below) come with a portable EVSE that takes the form of a box that has two plugs–one that goes into the wall outlet and the other that connects to an appropriate socket on the vehicle. A word of caution: before plugging your vehicle or your portable EVSE into a wall outlet, please make sure that the EVSE’s current draw does not overload the circuit. Another word of caution: before plugging your vehicle or your portable EVSE into somebody else’s wall outlet, please ask for permission first. Some EV drivers report hostile or uncooperative reactions from businesses such as gasoline stations, even if you offer a token amount of money in exchange for the cents of electricity that you need to be on your way. Level 2 refers to 240V AC power supplies that are typically machines dedicated for the purpose of recharging electric vehicles and can be installed in homes and parking lots. Prices for home units are below $1,000 and dropping. Some electric utilities such as PSE even offer subsidies for purchases of home Level 2 EVSE. 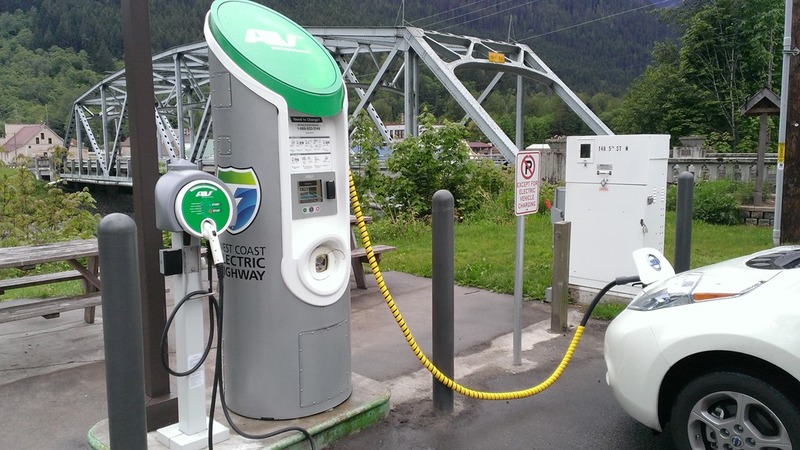 When they were first introduced a few years ago, these EVSE were free to use, but in the last year or so have started charging fees per unit of energy drawn or per unit of time spent connected. EVSEs that charge a fee usually also require the customer to use an RFID-equipped membership card that itself costs a nominal fee to acquire. 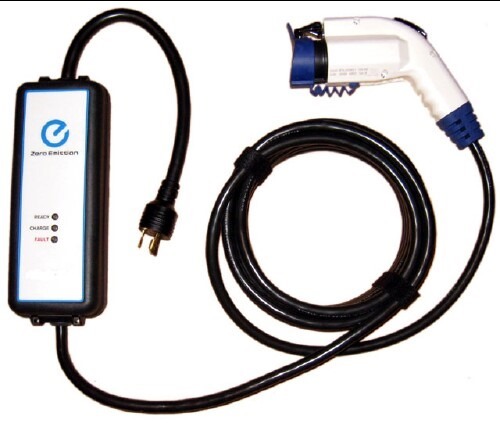 Some EV dealerships offer customers the use of their EVSE without charge. Some EV dealerships are generous enough to make their EVSE free for any EV owner to use, customer or not. Level 3 refers to 480V DC power supplies that are also machines dedicated for EV recharging, but are typically too expensive for home use (costing tens of thousands of dollars to purchase and install) and are thus usually only found in EV dealerships and parking lots. 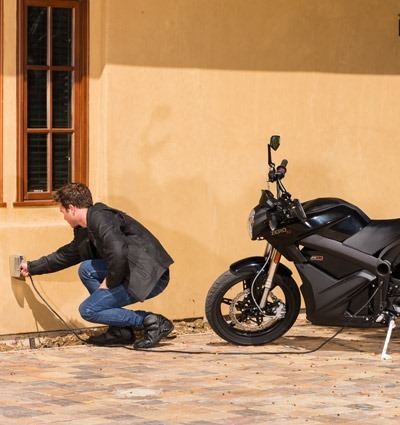 In the United States, these usually support the CHAdeMO protocol, which is supported by adding optional equipment to the Nissan LEAF, Mitsubishi i-MiEV, the Tesla Model S, and Zero Motorcycles. 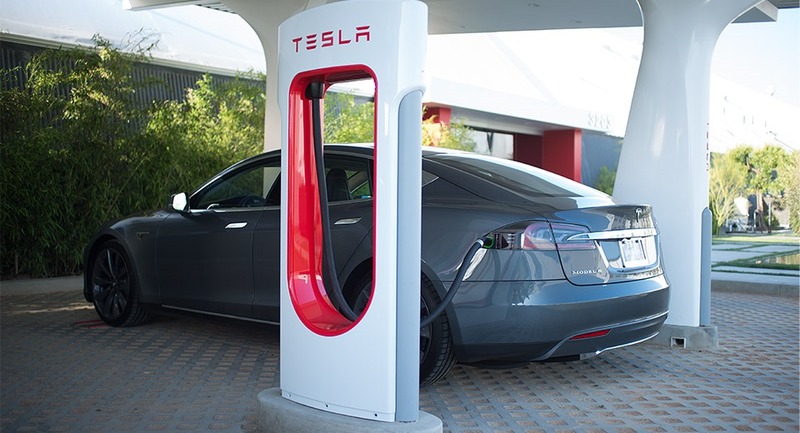 The Tesla Supercharger network is the other DC fast charging solution available in the United States. It is currently proprietary to Tesla Motors and only its vehicles are supported by this network, but that may change in the future. How do I find these charging stations? Once you have an electric vehicle, where can you recharge it if you’re running low on charge and can’t make it to your next destination? If your EV comes with a GPS, it will likely include a feature that will display the locations of nearby charging stations on the map. It might also be able to offer you turn-by-turn instructions for how to reach the nearest charging station. If your EV does not come with a GPS, you can use PlugShare on your PC or smartphone to display available EVSEs on the map. PlugShare lets you review and upload photos of charging stations, but if you encounter one not already on the map, you can register for an account on PlugShare and add it so that other EV owners may make use of it. Reviewing an EVSE is helpful for other users because it lets you report whether a charging station is in working order or not, which can alert other EV owners to rely on it or to avoid it.